Drug maker Gilead has recently come under pressure by U.S. lawmakers to justify the price of its landmark Hepatitis C treatment Sovaldi, which runs $84,000 per dose. Now, it appears that a similar campaign is underway in Canada, with health officials lobbying for a lower price on a critical important cystic fibrosis treatment. This time, Vertex Pharmaceuticals is in the crosshairs of lawmakers and medic practitioners alike, who feel that the price for their novel treatment is prohibitive. Vertex’s cystic fibrosis drug Kalydeco is among the most effective CF treatments on the market today, in that it gives substantial relief to certain cystic fibrosis sufferers with a specific genetic make-up to their disease. 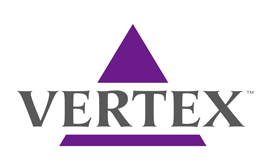 According to a recent article in The Star, “there are about 120 people in Canada who need the $300,000-a-year medication but do not have private coverage.” As a result, health ministers in Canada are calling for Vertex to lower the price. While Vertex’s Kalydeco is indeed an extremely high-priced cystic fibrosis treatment, it does not share nearly the same-sized patient population as Gilead’s Sovaldi for the treatment of Hepatitis C; there are more than 150 million people living with Hepatitis C worldwide, 3.2 million of which live in the U.S. While the cost of Sovaldi could prove prohibitive in the U.S.’s Hep C demographic, Canada’s CF population — which numbers about 4,000 — is far smaller. Vertex has recently been in the news for reasons other than Kalydeco’s efficacy or lofty price tag — the company recently announced that the results of the latest combined therapy clinical trial involving cystic fibrosis drug Lumacaftor will be released sometime this summer, which will reveal if the drug can also be used to treat a much wider range of CF patients. With this in mind, the company will undoubtedly seek to defend the valuation of its CF treatments in the marketplace going forward.